Empower marketing, merchandising, sales, and customer service. In today's always-connected, socially-networked world, customer expectations have never been higher―and customer engagement never so challenging. Winning organizations are meeting the challenge by equipping their front office teams―including marketing, sales and service―with analytics to better understand their customers and clients and automation to dynamically turn that intelligence into meaningful dialogs. IBM Customer Engagement makes this type of personalization possible at scale: across thousands of clients and millions of customers all using multiple devices and channels. IBM Customer Engagement makes customer engagement faster and easier with proven solutions that easily connect to leave no customer-facing team―or customer―behind. A powerful new approach to customer engagement. IBM's experience and research with thousands of companies led us to create IBM Customer Engagements to make it easier for all organizations to execute the practices demonstrated by outperforming brands. IBM Customer Engagement brings together leading capabilities from across IBM Enterprise Marketing Management, WebSphere Commerce and IBM Customer Engagement portfolios to make it easier to create and refine a system of customer engagement based on these practices to accelerate the growth of relationships and revenue. Enrich the ways you engage with each customer. Choose solutions by business need, not buzzword. 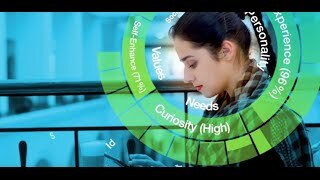 IBM Customer Engagement solution sets are crafted by business objective, making it easy to find what you need to address your most pressing challenge. IBM Customer Engagement solution sets are flexible, interoperable and extensive, supported by services and solutions of more than 1,200 business partners. IBM Customer Engagement is available in cloud, on premise and hybrid options to protect your security and customer privacy according to your business, location, and industry requirements.